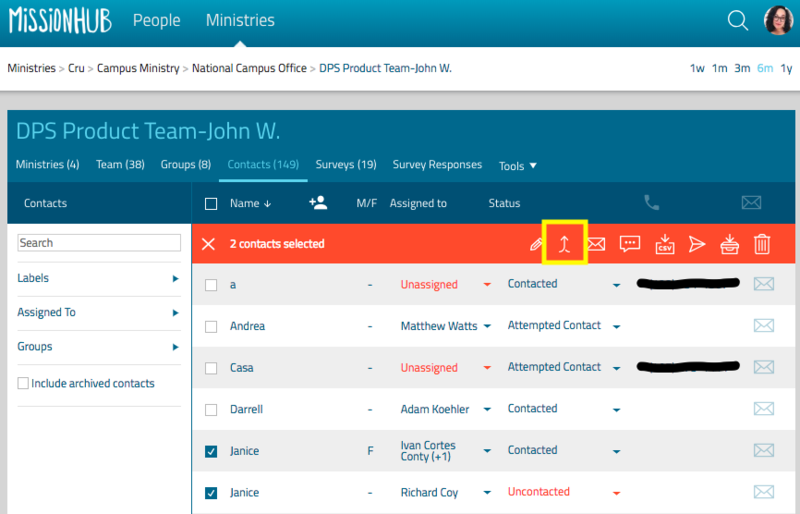 If you have several people adding contacts to your ministry, and you collect new contact information throughout the year, sometimes the same person can end up in your organization more than once. Those with Admin permission can merge multiple contacts into one. Click Contacts in the menu bar. From here, select the duplicate contacts and hover over More and click Merge Contacts. Next, select the circle button next to the ID of the contact you want to fully preserve. Any additional details from the duplicate contact will merge into the select one. 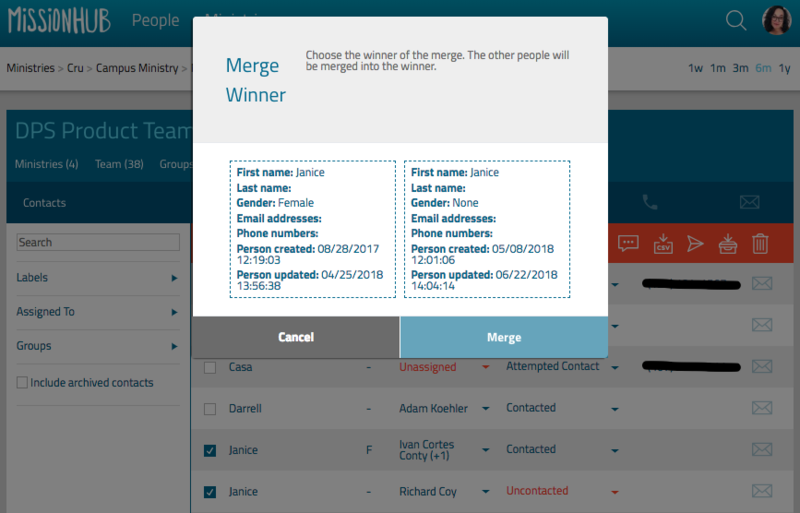 Click Review Merge, verify the information, and click Do the Merge. Confirm the final dialog box to complete the merge process. When you return to the Contacts page you will only see one version of that person. Note: Once merged, contacts cannot be un-merged.